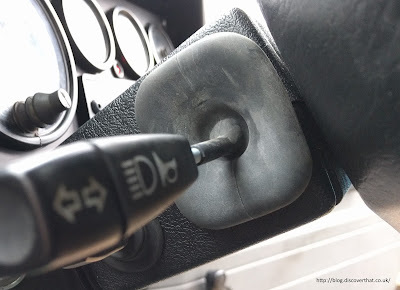 When indicating right in the Defender the switch was very sensitive and the slightest twitch of the wheel would trip it back to the centre off position. I think I have found a fix. A search on the Internet found quite a few people with the exact same problem, always indicating right. Like ours the left direction worked perfectly. None of the reports I read had a fix. 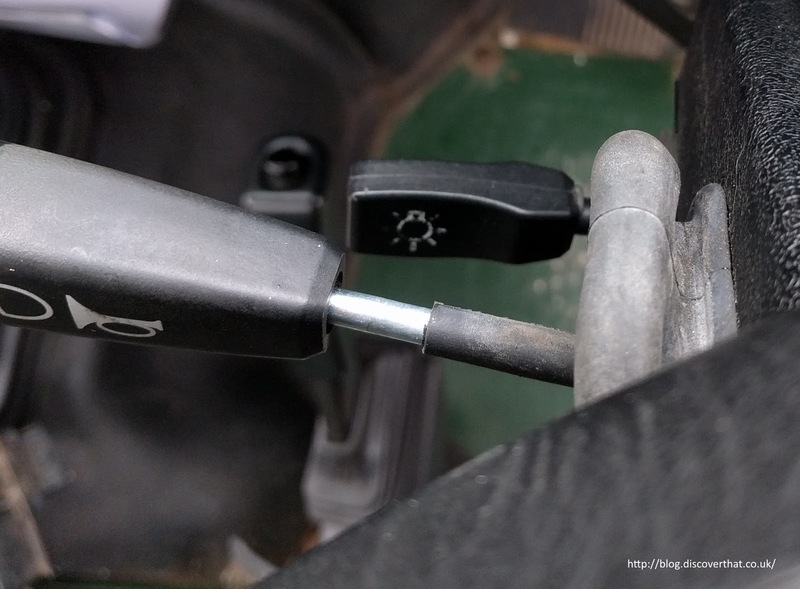 While fitting some electrics in the dash today I noticed that in the left position the grommet round the indicator column was loose but when selecting right, the grommet was taught and pulling on the stem of the switch arm. The grommet appeared to be fitted correctly so the best idea I could come up with was to push the part of the grommet that covers the long stem back towards the steering column to give it some slack. I did this and exposed about a 1cm length of chromed metal. 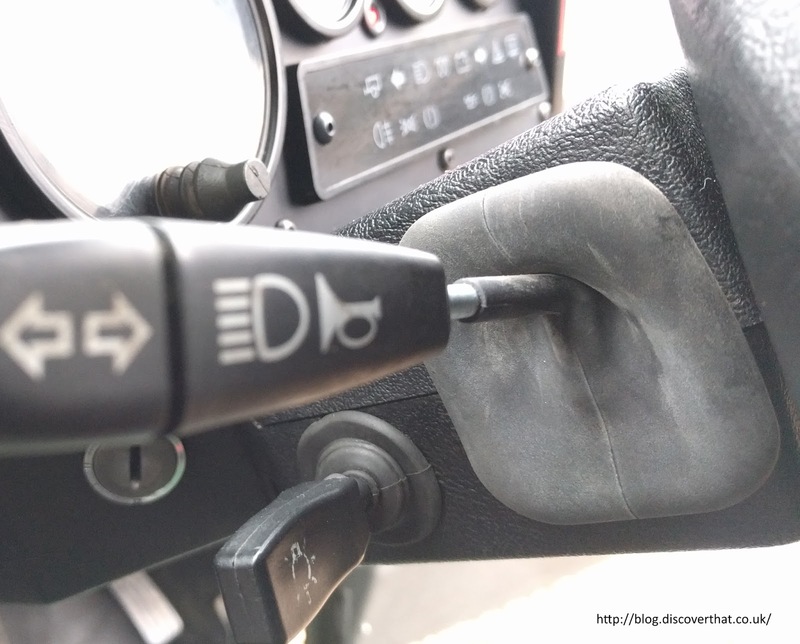 We have driven a good few miles since making the change and both direction indicators performed as they should. It's not conclusive yet and I don't know if the grommet sleeve will work back along the stem but so far so good.